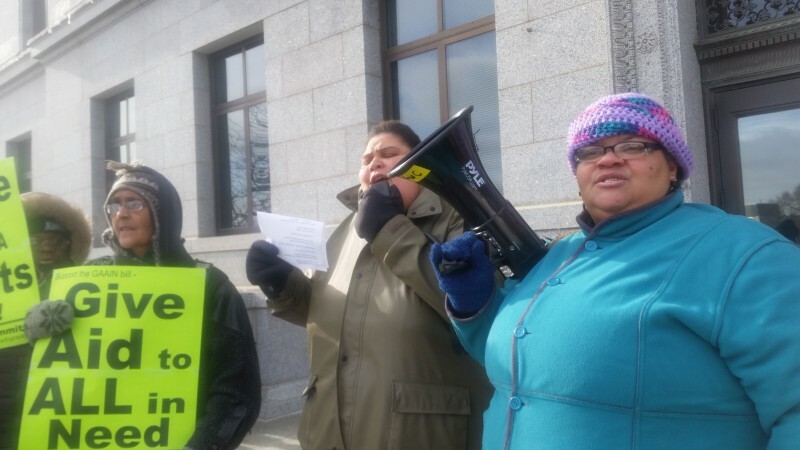 Welfare Rights Committee blasts ‘insulting’ 13-dollar increase in Minnesota welfare grants | Fight Back! Fight Back News Service is circulating the followings March 29 statement from the Welfare Rights Committee. The welfare (MFIP) grants have not gone up in 31 years - since 1986. At this point in time, the grants should be more than doubled to keep up with cost of living. MFIP is Minnesota’s welfare program for families with children. It is about half-funded by a federal block grant called TANF. For years, MN politicians have been stealing federal TANF funds for programs that were once state-funded. The $13 per month bill takes TANF funds from two programs, but does not commit to backfilling them with state funding - this is a bad precedent. There are still at least two months to go in this session. There is a possibility that Governor Dayton will veto the whole HHS bill. Then the process starts all over again. Besides the need to increase the grants, the Welfare Rights Committee also has the GAAIN bill - to Give Aid to All in Need. If Dayton vetoes the big HHS bill, we can keep up the fight for both.